Prinsloo also clarified the correct spelling of her daughter’s name (which had previously been reported as “Geo” by many publications, including SheKnows). 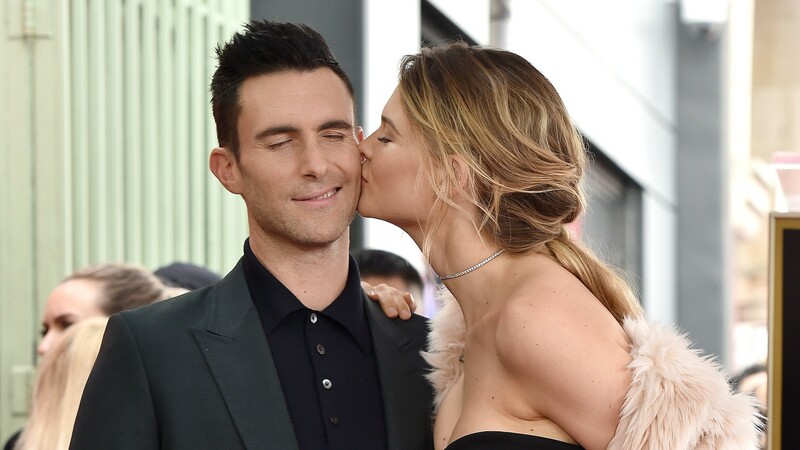 Prinsloo and Levine are also parents to 17-month-old Dusty Rose. Said big sister also seems to take after dad, at least in the silly department. Levine is famous for being a jokester behind the judge’s chair on The Voice. Dad won’t get to have all of the fun, though. The girls will likely inherit Prinsloo’s impeccable sense of style; she told People she’s already set aside some of her favorite wardrobe pieces for them, including her wedding dress and her Victoria’s Secret robes. Levine hasn’t shared a picture of little Gio on his own social media accounts yet, but judging by his November interview with Ellen DeGeneres, he couldn’t be more thrilled about the new addition. At the time, he said he wants a lot of children, adding, “I thrive in chaos.” Hopefully, he also thrives on changing diapers.